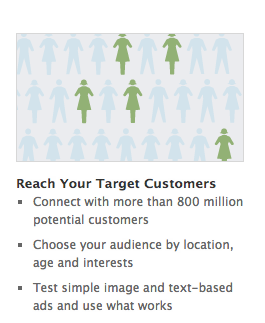 If you have thought about spending time advertising on Facebook, but didn’t know how to target your ads effectively to the right audience, this post is going to be really helpful. 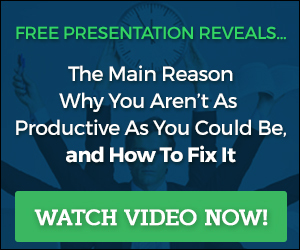 When you set out to create your Facebook ad campaign, the very first thing you should do is put together the ad creative, and then set up what you want people to see after they click the ad. How to think about, and set up this process is beyond the scope of this post, and will be covered in a later post in the coming weeks. 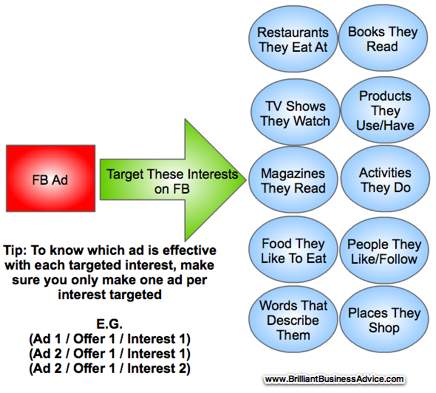 When thinking about who you want to see your ad on Facebook, your goal is to first think about the market you are targeting, and every single aspect of their life. Write everything down you know about your target customer and then when you are done start seeing if you can target those specific things in your next campaign. Once you have your interests targeted, the next step is to build your campaign and let it fly. As the campaign starts to run, pay attention to what interests are getting the most clicks/conversions on the ad, and change it up as you start to learn more about the specific audiences on Facebook that are the most responsive. As you trial and error your ad campaign, you will be able to take all the knowledge to integrate into future campaigns to achieve even more success.